The Orthodox Presbyterian Church emerged from a hotbed of conflict. This was a conflict that, as Darryl Hart and John Muether have argued, was to define the OPC in nearly every area of its polity, doctrine, and personality even up to the present day. 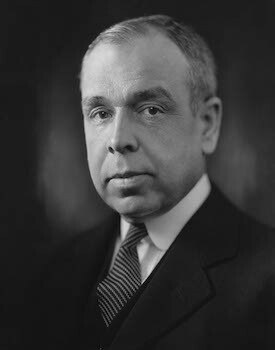 This conflict from which the OPC emerged was not a conflict between two Christian groups who simply could not agree on some details, but — as J. Gresham Machen portrayed it — between Christianity and Liberalism: two entirely different religions. The battleground of this conflict was the mainline Presbyterian Church (PCUSA) of the 1920s and 30s and the conflict arguably struck its zenith with the trial and ejection of J. Gresham Machen from its ranks. By June of 1936 the OPC was formed by Machen and a small group of conservatives who chose not to remain in the PCUSA any longer. Because it was a child of war, the OPC was originally composed of an oddly mismatched (in retrospect) coalition that might be roughly divided into two: the Westminster group and the McIntire/Buswell group. On the Westminster side were leaders who were associated with Westminster Seminary such as J. Gresham Machen, Cornelius Van Til, John Murray, Paul Wooley, Ned Stonehouse (the editor of the Presbyterian Guardian), and Charles Woodbridge. Those who occupied the McIntire/Buswell camp were those who eventually left the OPC. This group, of course, included among them Carl McIntire and J. Oliver Buswell. In their battles with the modernists of the PCUSA these groups found themselves sharing a similar agenda and a common enemy. George Marsden puts it this way: “As long as conservatives were confronted with the presence of modernists within their own institutions, and as long as there was real hope of retrieving control of the church, there was little time for disputes on fine points.” After the split with the PCUSA, of course, these two conservative groups now shared the same house. From the perspective of hindsight it seems like a marriage that was destined to fail, but at the time it did not perhaps seem so obvious. Why, after all, should it be so hard to remain together, now that the issue of an aggressive and militant form of modernism was off the table? Through a series of upcoming blog posts we will look more closely at this “most emotionally charged” of the issues that divided the OPC. 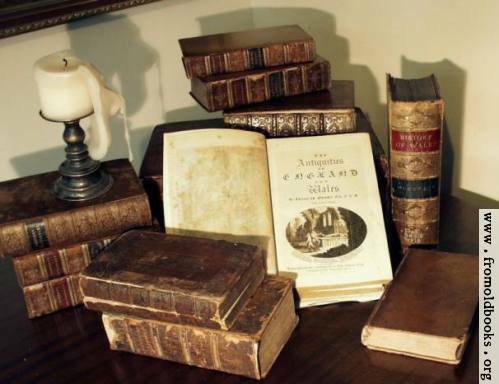 By the end, not only will we have explored a fascinating period in Presbyterian history, but we will really see that the issue which was most pressing in the division wasn’t ultimately disagreement over the wrongness of alcohol, but disagreement over two competing visions of how Christian Liberty ought to be put into practice. In Part 2 of this series we will consider the developments that ultimately led to the division of the OPC in 1937. The Orthodox Presbyterian Church was initially called the Presbyterian Church of America until it was forced to change its name by court order. However, in spite of the anachronism and for the sake of continuity I will here refer to it by its later name, the OPC. D G. Hart and John R. Muether, Fighting the Good Fight: A Brief History of the Orthodox Presbyterian Church (Philadelphia: Committee on Christian Education and the Committee for the Historian of the Orthodox Presbyterian Church, 1995), 7. See J. Gresham Machen, Christianity and Liberalism, new ed. (Grand Rapids, Mich.: William B. Eerdmans Pub. Co., 2009), 2. George M. Marsden “Perspective on the Division of 1937” in Charles G. Dennison and Richard C. Gamble, eds., Pressing Toward the Mark: Essays Commemorating Fifty Years of the Orthodox Presbyterian Church (Philadelphia: Committee for the Historian of the Orthodox Presbyterian Church, 1986), 299. The Presbyterian Guardian 2 (June 22, 1936), 110.